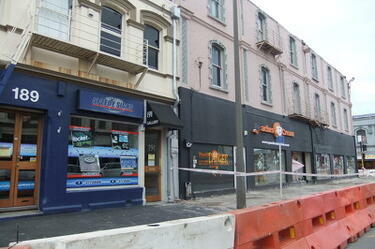 A photograph of Speedy Signs and Peaches and Cream on Tuam Street, cordoned off with plastic fencing and police tape. 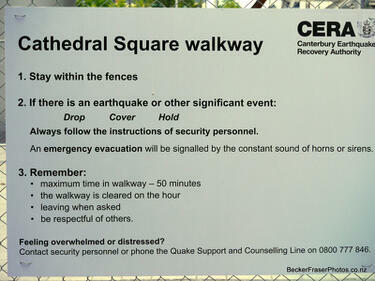 A photograph of a safety notice at the entrance to the walkway opened between Cashel Mall and Cathedral Square in order for the public to view Cathedral Square. 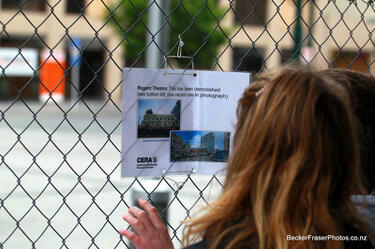 The photograph is captioned by BeckerFraserPhotos, "The Cashel Mall to Cathedral Square walkway". 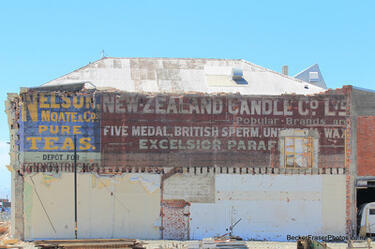 Photograph captioned by BeckerFraserPhotos, "Another old sign comes to light. 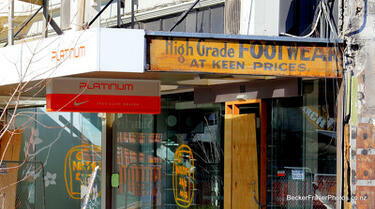 Cashel Mall". 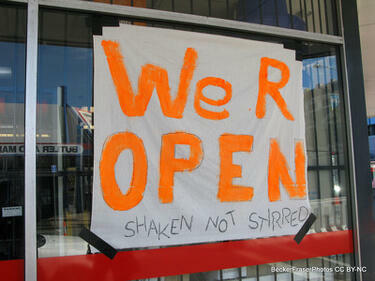 A sign on a store in Colombo Street which reads "We R open, shaken not stirred". 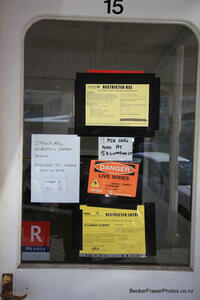 A house in Christchurch with a red sticker on the window indicating that it is unsafe to enter. 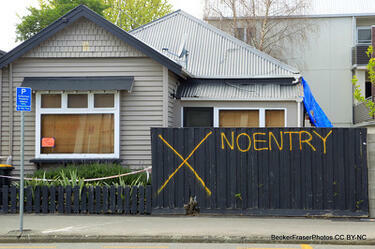 "No entry" and a large cross have also been spray painted on the front fence to warn people off. 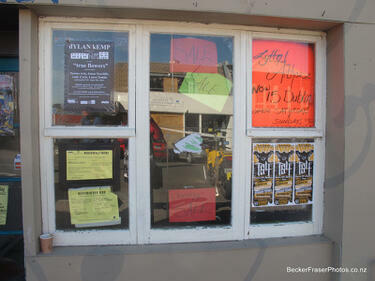 On the right side of the house, a tarpaulin can be seen covering a collapsed brick wall. 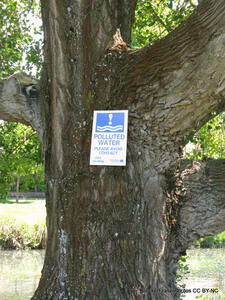 A warning which reads "Polluted Water, Please avoid Contact, Christchurch City Council" on a tree next to the Avon River in Avonside. 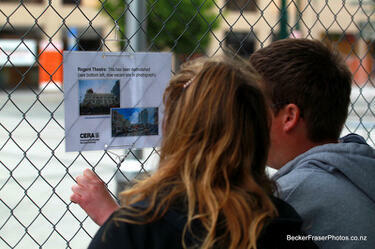 A photograph of people reading an information sign posted on a cordon fence during the Cashel Mall to Cathedral Square walk. 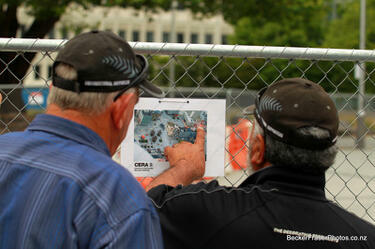 A photograph of two men looking at an aerial photograph of Cathedral Square during the Cashel Mall to Cathedral Square walk. 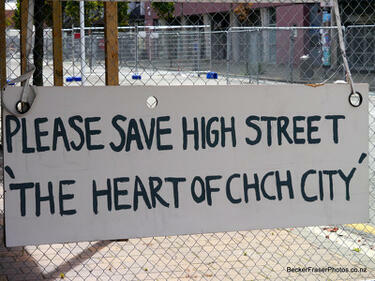 A photograph of a sign reading, "Please save High Street, the heart of Christchurch city". 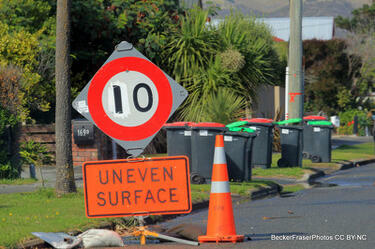 The photograph is captioned by BeckerFraserPhotos, "Sign seen on a fence near the corner of St Asaph Street and High Street". 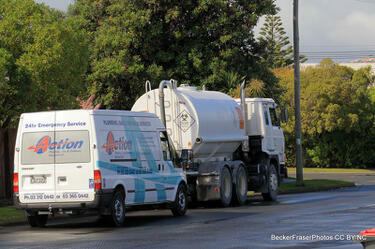 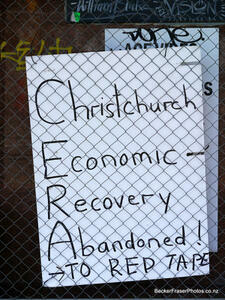 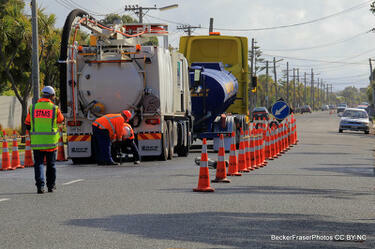 A photograph of a sign reading, "Christchurch Economic Recovery Abandoned - to red tape". 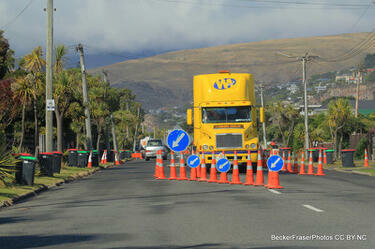 The photograph is captioned by BeckerFraserPhotos, "Sign seen on a fence near the corner of St Asaph Street and High Street". 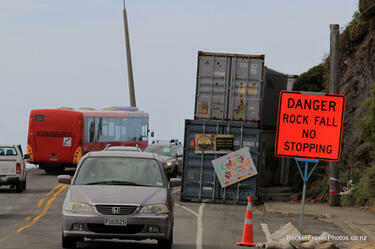 Photograph captioned by BeckerFraserPhotos, "Road signs near the container barrier at Peacocks Gallop indicating that there is a danger of rock fall in the area".